Software defined networking (SDN) has been hailed as the future of the networking industry, and it is easy to see why. Moving the intelligence from expensive hardware to centralised software means reduced costs, improved management, more agility, speedier deployments and flexibility. While it has been described as a threat to big traditional networking companies such as Cisco and Juniper Networks, who have huge legacy infrastructure to protect, SDN is providing an opportunity for many start-ups, including Plexxi, Big Switch Networks and PLUMgrid. Other companies, neither start-ups, nor traditional networking vendors, are seizing on SDN as an opportunity. Dell is one of those companies, and its recent announcement shows it is betting big on software-defined networking. The now-private technology giant has announced its new open-networking initiative involving a decoupling of networking hardware and software. It will now sell bare-metal switches (the S6000 and S4810, at the moment) and let customers choose which network operating system they run. At first that will be a choice between Dell’s proprietary OS and a Linux-based OS offered by Cumulus Networks, but the choice should expand as Dell signs more reseller agreements. Dell says the benefits of this will be more choice for customers, and newer, smaller form factor core devices that can help reduce capital costs by anywhere between 30% and 70%. 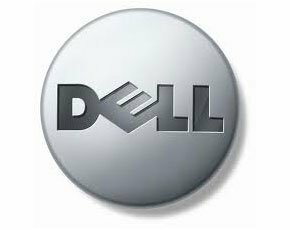 Operational expenses can also be reduced by at least 30% compared to chassis-based switches, Dell said in its release. Speaking to Computer Weekly, Dominique Vanhamme, Dell’s EMEA head of networking, said this announcement was the result of many years of high investment and a reflection of where the networking industry is heading. The old vision of one size fits all does not necessarily apply in today’s networking world, Skorupa said, and by unbundling the hardware and software, lowering its hardware prices and providing sales, service and support for third-party software products, Dell could provide solutions for as much as a third less than similar offerings from a Cisco, for example. The announcement certainly puts Dell in an interesting position against traditional network vendors such as Cisco and Juniper. Skorupa claims Dell’s history across IT should help it success in the networking space. “They should be worried by Dell’s move, as it’s been growing its networking business quite rapidly since the Force10 acquisition,” he said. “For them to win they don’t necessarily have to win the accounts, they can win by re-setting people’s expectation of what datacentre networking hardware and software should cost. Cisco, in response to the SDN phenomenon, recently announced its Application Centric Infrastructure (ACI). This is a hardware and software combination that centralises the management, monitoring and programming. Cisco says this will reduce deployment times and ownership costs. Dell’s open networking announcement, however, isn’t just the company making a play in the networking space. It has its sights set slightly higher than that. “We want to be part of the redesign of not just the datacentre but all enterprise infrastructure,” Vanhamme said. “So with this approach we believe we can be very open but also bring key functionality closer to the network or storage and so on. For now, Dell is aiming its open-networking initiative at financial institutions, cloud-computing providers and basically anyone with a large scale datacentre, where, Vanhamme says, open approach can dramatically bring hardware, software and operations costs down.